Therefore, I have decided that I will create a tangible goal, trackable with cool internet widgets and enjoyable in every way (hopefully). I give you… the New Year’s Bookolution! In 2012, I will set a goal of the number of books I want to read before December 31, 2012. In fact, I’m even going to name some of them specifically, because there’s plenty of books I know I want to read, or plenty I’ve started and never finished. Here’s what I’ve got so far! I’ve already started on this a few days ago, and I expect to have it finished by New Year’s (maybe). But yes, this will be the first book out of the gate. (I’ll still count it even if I finish it before January hits.) I’ve been holding onto this book since very nearly the day it was released, and with winter coming, it seems only appropriate to dive into the world of Martin and experience the long winter descending there. This is one I started just before a bunch of reading assignments for class started, and I got a good bit of the way through it and then left off. I’m determined to finish it. The writing is a little slow at points, but the world makes up for it, and I’ve reconciled myself to the voice for the most part after deciding that it’s On Purpose, and therefore okay. I put this one down in favor of something else, but I’m not sure what. I’m not too terribly impressed with it, truth be told, but it isn’t awful. Probably should get around to finishing it this year. I was actually very much enjoying this book when I put it down partway through, and I can’t remember why I stopped reading it. 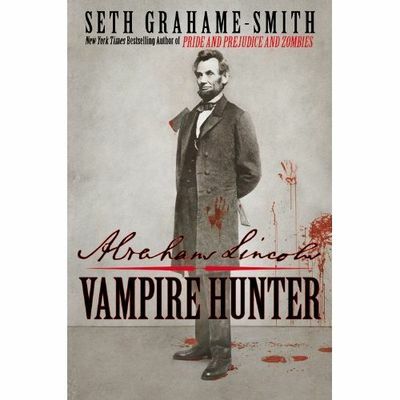 While the zombies craze has never appealed to me – in fact, it’s almost repelled me – and the vampire craze hasn’t touched me much since I realized that Amelia Atwater-Rhodes was not nearly as good in her early years as I thought she was and was instead more of an Anne Rice fangirl. Nevertheless, I will finish this book! 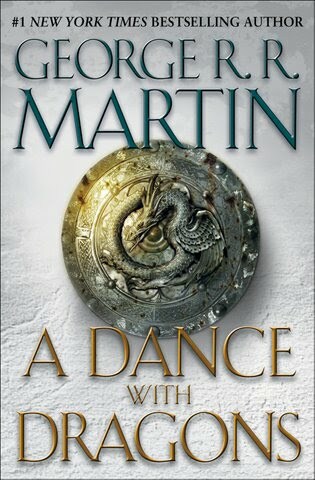 I’m not a huge fan of it, I stopped reading it in favor of A Song of Ice and Fire, but I’m more than halfway through it, so I might as well finish it. And remember to never read a free Kindle book again. Certainly there are a great many more books on my to-read list, but these will be the immediate ones. Reading goal? This year I set out to read 35 books, and I did it! So this year… let’s try 40. Just raise the bar a bit. What are you looking forward to reading in 2012? Anything that I should add to my list? * Except on accident. This year I did reach my goal of losing fifteen pounds, but only because I had The Little Flu That Could for the better part of a month. ** If you’re thinking, “Huh. That’s not her typical reading fare,” then you’re correct. My father wants me to read this book so that he and I can sit down and talk about it later. I’m not sure how to feel about this, but it’s important to him, so I’ll go ahead and read it. So I guess it’s my birthday or something. Is that why I’m wearing a skirt, heels, and a new blouse, bedecked in jewelery and whatnot on campus? Probably. I like excuses to dress up. Anyhow, I haven’t posted in ages. Eons. I figured I would get that out of the way now, because birthday! deAngelis is on hiatus for a while – I need to step away and let it simmer for a bit. So now I’m working on some preliminary planning for Steel, which I will commence this NaNoWriMo. Originally it was posted on Fictionpress as The Edgemaster, and while it was very good for a fourteen-year old, it simply will not do for a twenty-three-year old. 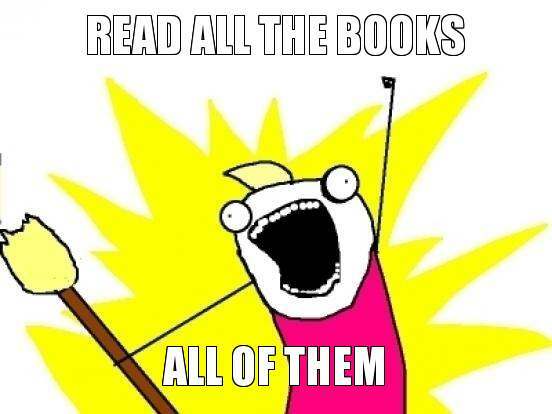 I’m nearly halfway through reading Feast for Crows. I’ve already got a long list of books that I’ll be reading after this one. This kind of goes without saying, since I tend to finish whatever series I’m reading before moving on to something else. The copy I actually have sitting on my desk right now is a signed hardcover copy, which was a gift from the woman I accompanied to the book signing in Carmel, IN. I’ve never stood on my feet in a book store for so long, but it was SO worth it. For someone who isn’t too terribly into high fantasy, I am in love with this series. I squealed like a Bieber fan when I saw the mini-trailer for season 2 of the show. While I will miss Boromir Sean Bean, Peter Denklage totally rocks my world, and I can’t wait to see how they handle the next few plot things. 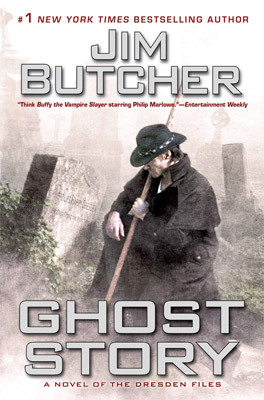 As avid a Dresden Files fangirl as I am, it pains me that I haven’t yet read this book. It’s sitting, brand new, on my desk, hardcover (and only $8, including shipping!) – and I haven’t even read the first words. I’m afraid to even touch, for fear that I will get sucked in and then not be able to stop, with Feast for Crows and Dance with Dragons still unfinished. The ending of the previous book, Changes, was not technically a cliffhanger, but oh god did it twist my insides and make me wish I had a T.A.R.D.I.S. so that I could jump to July 16th and read this book. Robin McKinley is kind of everything I want to be when I grow up – a brilliant writer with multiple published books with a lovely garden, opportunities to go to the theater whenever I want, and a primary address in Scotland. I’ve more or less been in love with her since I was seven or eight years old, when I first read The Blue Sword. 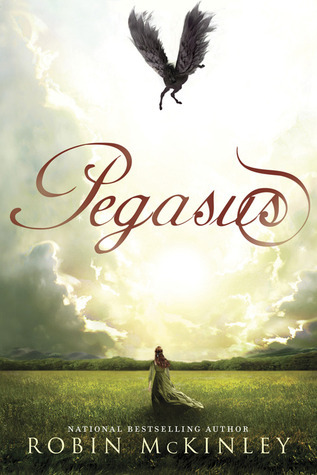 Her most recent novel, Pegasus (also in brand-new hardcover, for stupid cheap) is sitting on my shelf as well. I’ve read the first chapter or so, becaues I was bedridden little while ago and this book was the only one that I could reach without actually physically pulling myself out of bed and dragging myself down the hallway to my desk. I don’t read very many YA novels anymore. The whole genre seems to have split into the Twilight-esque camp or the fanfiction-esque camp or, worse, taken up dual citizenship in both camps. I’m still using brain bleach after the train wreck that was City of Angels. McKinley, though, has never disappointed me. I have no idea what to expect from this book. I managed to get it for two or three dollars off of Amazon used;I coudl not for the life of me find it in a bookstore, or even new online. I read a short story with these characters written by the author in Dark and Stormy Knights, and I liked it quite a bit. 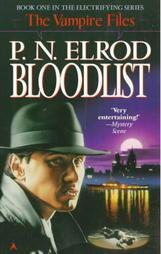 For two or three bucks, I can stand to read a two-hundred-some-odd page novel that I know nothing about. Time to take a chance! Yeah! Everything else is on my Kindle, and since everything I’ve been reading for the last few months are actually books instead of ebooks, I kind of forget what I’ve got on there. However, I know I did manage to download The Hunger Games for ninety-nine cents, so I’ll likely be reading that, if only to see what the fuss is all about.